It's a Super Saturday again at Scraps N' Pieces. 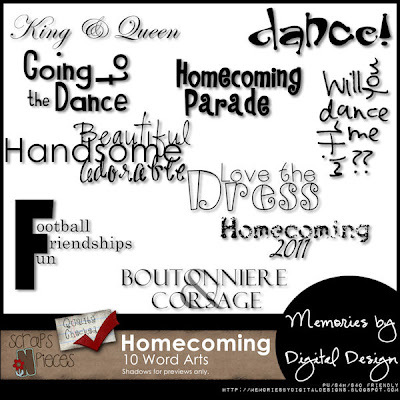 I have 2 of my word art packs on sale for $2 - Just So Wordy and Homecoming. Images are linked to the store. Also, if you haven't checked out my Facebook page - please "like" me. 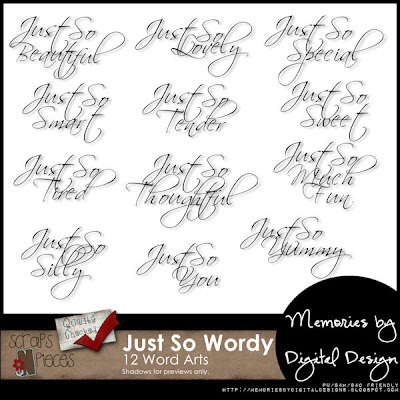 I'll soon be providing exclusive Word Arts and SBC templates.